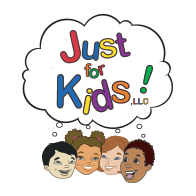 Just for Kids is a safe, fun and happy environment for girls and boys ages 3-14. More than just a day care, Just for Kids focuses on providing a creative and positive environment where children enhance their self-awareness and experience personal growth. Consider us your After School Experts! The mission of Just For Kids Before and After School Program is to provide a safe, nurturing, relaxing, and recreational environment where children will engage in various activities that will foster their growth in becoming productive and distinguished citizens of society. Our goal at Just For Kids is to introduce and reinforce the arts, technology, sports, and academic foundations that you, their families, have set before them. We encourage community service, as it is our duty to give as we receive.